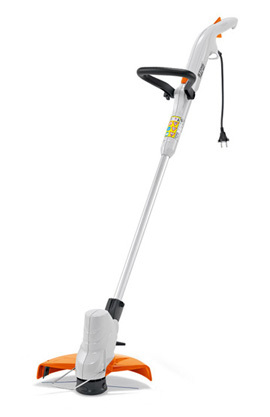 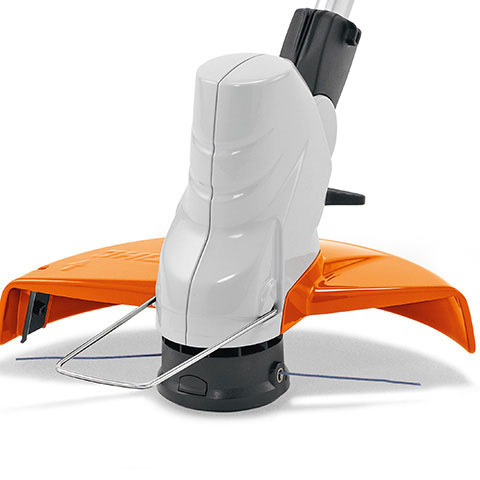 Light, quiet and powerful electric grass trimmer in a modern and functional design with improved features (wire spacer bracket) and AutoCut 2-2 mowing head. 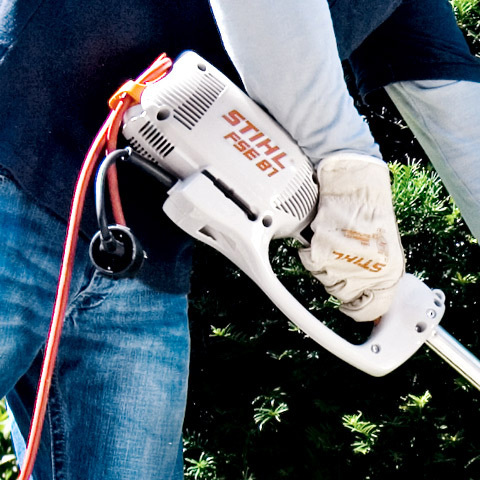 Perfect for all garden trimming and thinning jobs. 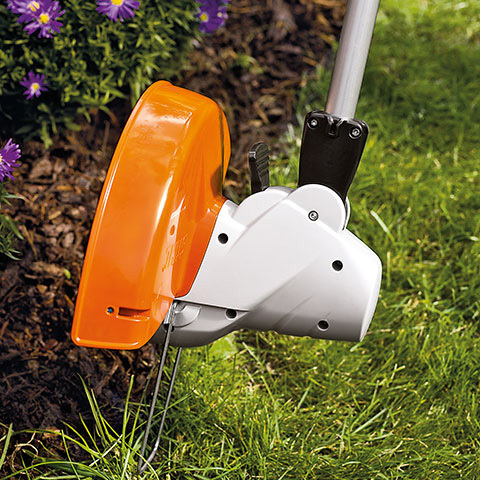 Pivoting mowing head for quick and easy conversion into edge cutting mode. 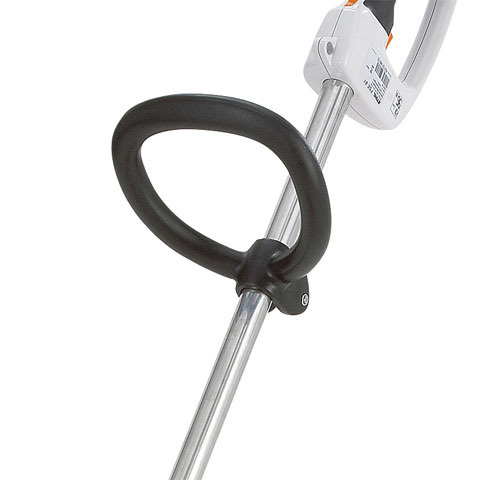 The bow-shaped handle can be easily adjusted to your requirements without tools. 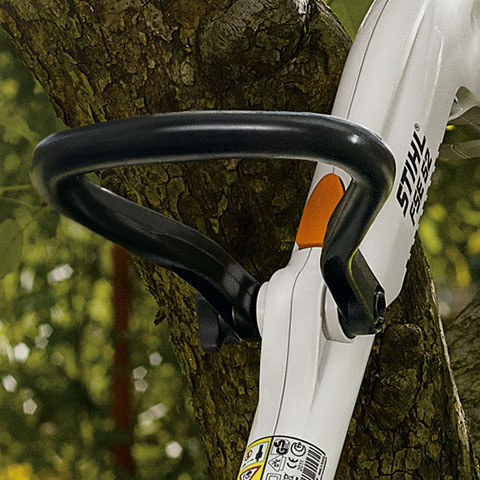 The spacer bracket protects trees and shrubs by acting as a buffer between the end of the mowing line and the area to be cut.